Our clients tell us that they like working with us because we are friendly and approachable – yet highly professional and effective accountants in Wilmslow. That’s why many of them have been with us for years! 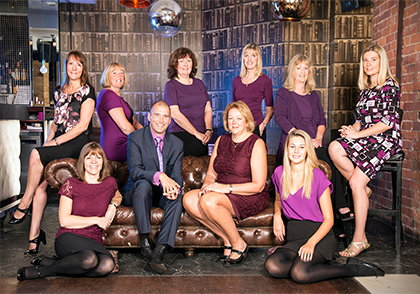 Founded in 1997, based in Wilmslow, Cheshire and with a dedicated team of 10 experienced professionals, we have a reputation for being friendly and approachable accountants, tax and business advisers. It’s a mix of home-grown talent and senior professionals who’ve joined us from national firms – which means you enjoy a high level of expertise and a very personal service. We have a very simple view of business – it’s there to generate income and long-term wealth for you – and we focus on that principle in everything we do for you so you get maximum return. Our clients include privately owned businesses (many of them family owned and run), professional practices, charities and not-for-profit organisations and individual private clients. Although our office is in Wilmslow, we look after clients from across South Manchester, Cheshire and beyond. We love working with people who share our views of business and are eager for growth, so if you fall into that category, we’d love to have a chat with you. You can rely on us to provide a full range of accountancy, tax advice and business advice services for your businesses – everything tailored to suit your specific needs. You can call us to sort out a problem at any time. If you are finding conditions are tough right now, but can’t get any support from your own accountants, come and have a chat with us. You’ll find our approach is friendly, cheerful, positive and enthusiastic – perhaps not words you’d normally associate with accountants – but they describe us perfectly!